We provide one day training after you join us. NO Fees is there are for training. We provide complete training how to click and how much you can earn just by following simple rule. 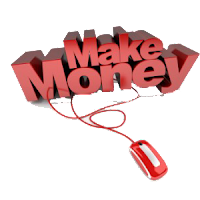 After training you can start earn money by doing simple click from your computer. Check your daily report that how much you have earned past days. We make payment by Cheque on second Saturday of every month at 4:00PM to 6:30PM. collect your Cheque from our office.